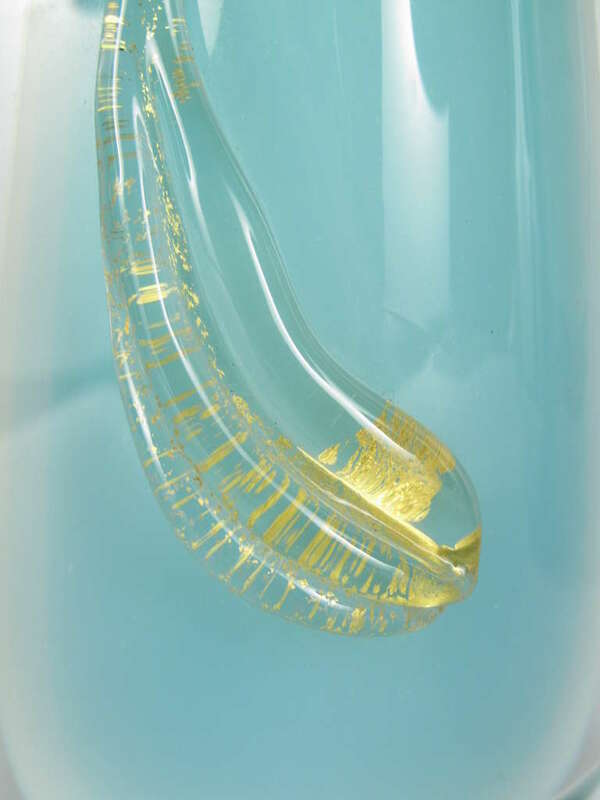 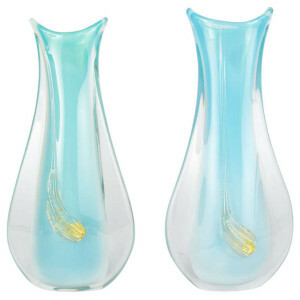 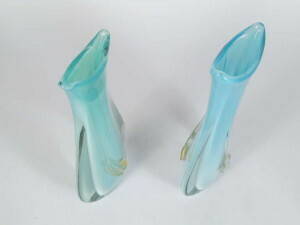 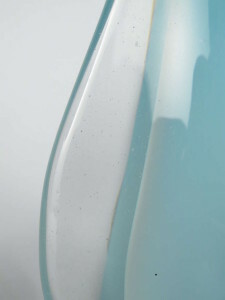 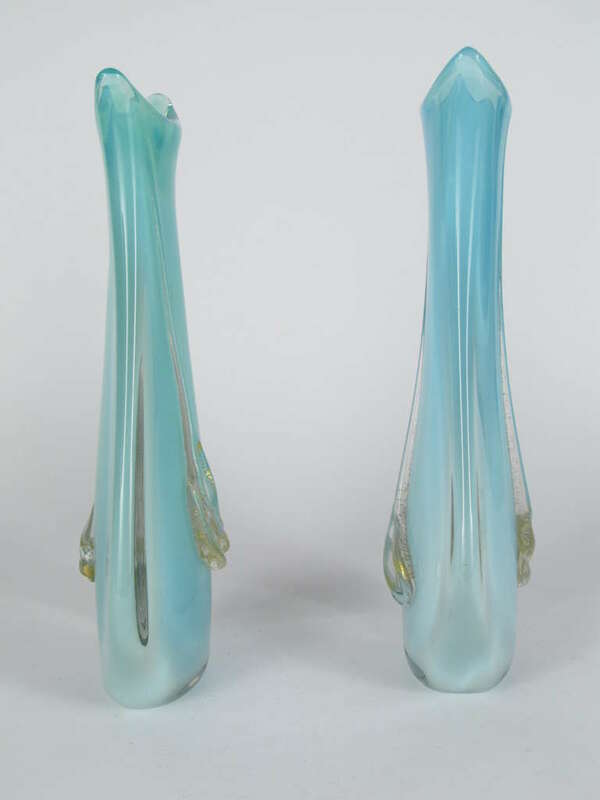 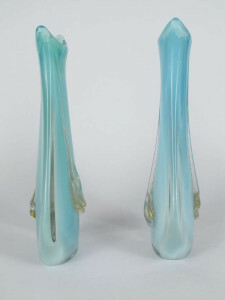 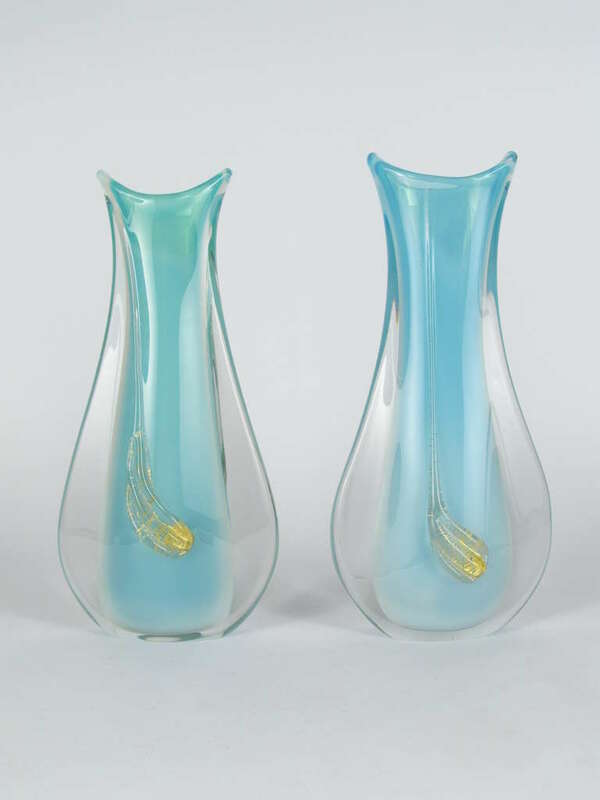 This is a beautiful and graceful pair of unsigned murano sommerso glass vases, each one with a very sinewous swoosh of gold applied to both the front and back. Each one is unusual and appealing. 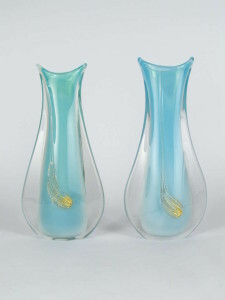 But as a pair they are quite rare. 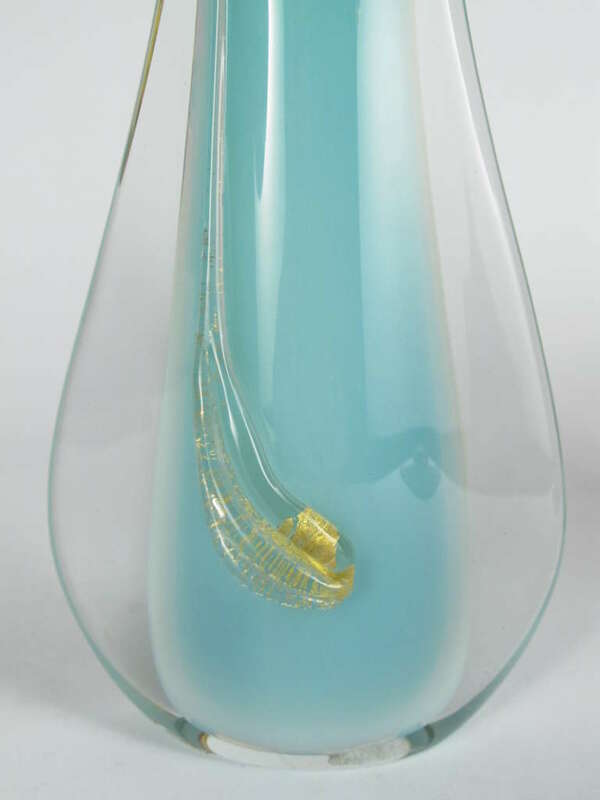 Possible attribution to Barbini or Salviati.